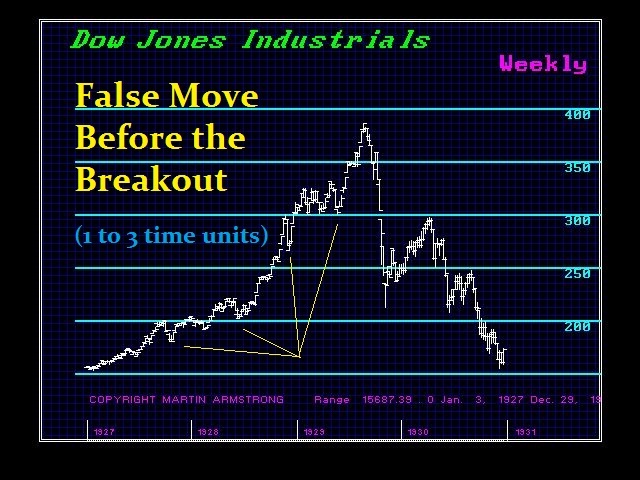 Just as they say there is the calm before the storm, there is always the false move before the breakout. As we approach the midpoint on the Economic Confidence Model August 7th, which is curiously 31.4 days from the low, we should keep in mind that this is the midpoint and not the climax peak. Resistance still stands at the 16000 level. 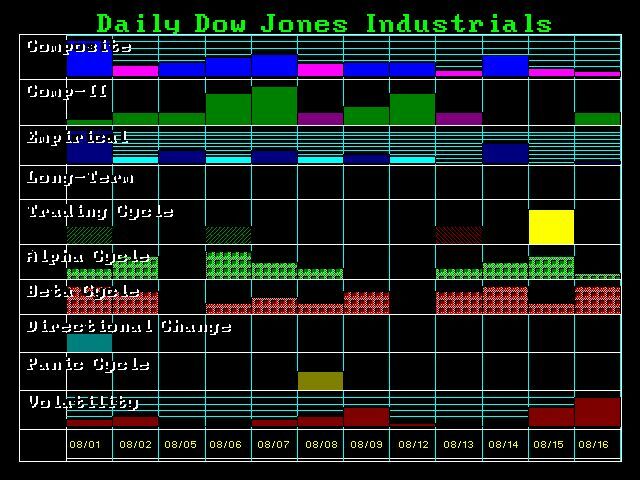 The Dow has been crawling sideways buying time. The timing arrays are also now lining up with August 7th. This is independent of the ECM and is the collection of 72 models. Thus, as we move close to this target, we also see a Panic Cycle and volatility rising the week after. Capital will begin to shift and start to make its decision. 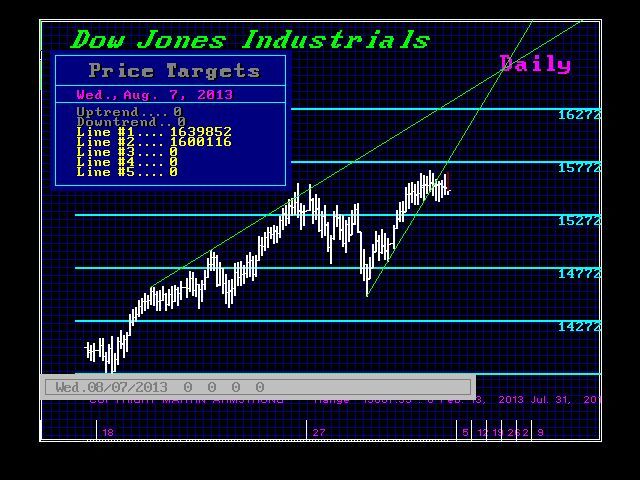 If we see a high on the 7th in the Dow, we may see the classic False Move to the downside for the typical time period of 1 to three units. This is what we may see. A brief correction with all the bears yelling I told you so, then followed by a rally that wipes them out. This market has not peaked yet and it is destined for much higher prices ahead going into 2015.75.